Since its inception, the Billboard Latin Music Awards broadcast on TELEMUNDO have set the pace in Latin music, introducing unique never-before-seen collaborations among internationally renowned artists on its stage. This year, the prestigious event will take the format to another level, offering for the first time “Billboard Duets.” Performances during the impressive awards show will unite the voices of acclaimed artists to offer an unprecedented program, featuring the biggest Latin stars in exclusive harmonies. Known for its innovation, the awards show has become a platform for never-before-seen musical performances, such as Alejandro Fernandez with Julio Iglesias, Juan Gabriel with Los Trio, and Jennifer Lopez with Los Dinos, among many others. In addition, the show was the first to include collaborations between English and Spanish speaking artists, such as the one with P. Diddy and Daddy Yankee, Alicia Keys and Arturo Sandoval, and Wisin with Sean Paul. For the complete list of finalists and the latest news, fans can visit Telemundo.com/PremiosBillboard – the official website of the 2016 Billboard Latin Music Awards; follow the excitement of the star-studded event on Twitter and Instagram @LatinBillboards and Facebook.com/LatinBillboards, and join the conversation using #Billboards2016. Billboard is the world’s most influential music brand, built on the most complete and well-respected database of charts across all music genres. The Billboard charts define success in music. From the iconic Billboard magazine to Billboard.com, the ultimate consumer-facing destination for millions of passionate music fans, to the industry’s most elite conference series and influencer events including the Power 100 and Women in Music – the Billboard brand has unmatched authority among fans, artists and the industry alike. Billboard was named the leading U.S. brand on Twitter, surpassing the NFL, ESPN, BuzzFeed and MTV, with 6.1 million engaged actions in Q3 2015, and named an overall Top 10 U.S. Media Publisher in December 2015 with 11.8 million social actions. Billboard has a social media footprint of 10.6 million social followers across Facebook, Twitter, Instagram, and YouTube. Billboard magazine has scored major news-generating covers recently including Nicki Minaj, Lana Del Rey, Selena Gomez and Justin Bieber. In December 2015, the Billboard Women in Music ceremony, which honored Lady Gaga as Woman of the Year, was presented to a mass audience for the first time via Lifetime, the exclusive broadcast partner. 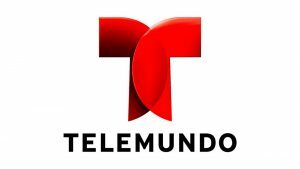 TELEMUNDO, a property of NBCUniversal Telemundo Enterprises, is a world-class media company, leading the industry in the production and distribution of high-quality Spanish-language content across its multiplatform portfolio to U.S. Hispanics and audiences around the world. The network features original scripted dramas from Telemundo Studios – the #1 producer of Spanish-language primetime content – as well as non-scripted productions, theatrical motion pictures, specials, news and first-class sports events, reaching 94% of U.S. Hispanic viewers in 210 markets through its 17 owned stations and 52 broadcast and MVPD affiliates.